This is the second card with the blendabilities. This is the Melon Mambo set. Each set has three pens, a light , a medium and a dark. 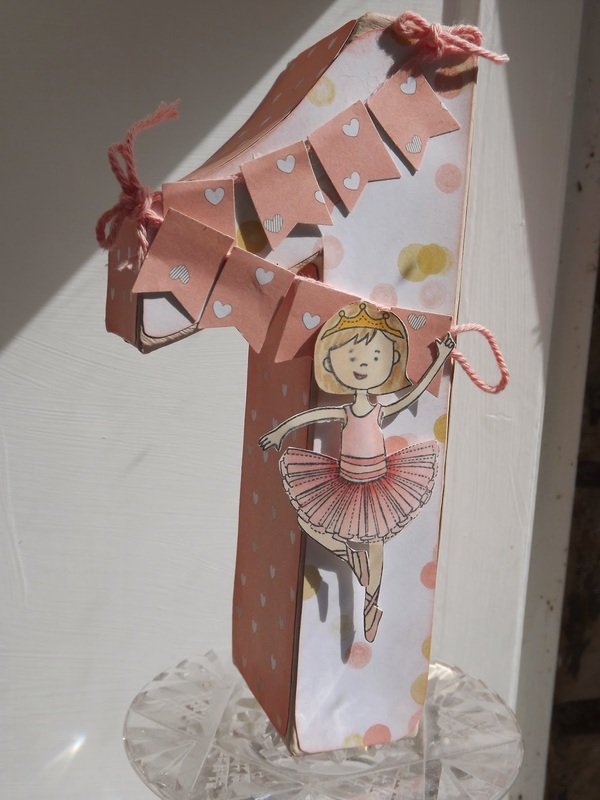 As its such a bright colour I decided to use the newsprint DSP and some chevron ribbon. 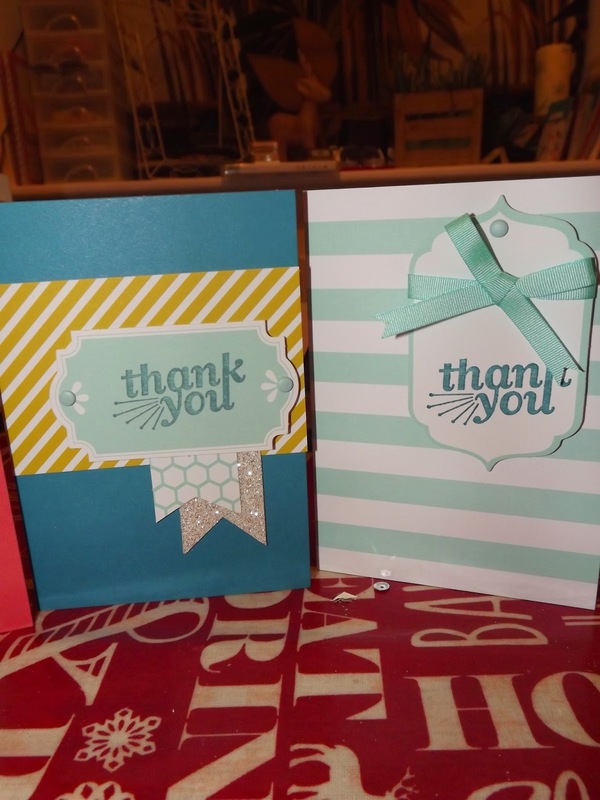 The 'thankful' is from an old die set as I wait for the new ones from the spring summer catalogue to arrive. I have actually stamped coloured and cut three flowers. This flower has three layers, put together with dimensionals. I think in this bright colour the depth of change you can get with the blendabilities really stands out. I decided to get all my blendability pens out as I have 2 packs coming in my next order. They are coming free of charge through SAB. I spent a lovely hour in front of the T.V. last night colouring in. Like being back at school. I loved it! I actually coloured 6 flowers, experimenting with the pens, using different colours together and working dark to light and light to dark. I found that the dark to light works best just don't colour much with the dark pen. So flowers coloured then fussy cut, what to do with them. Two pictures, one in natural light and one with the flash. They both show the blendies off well and the chalk ink looks good too. What do you think? I'll be back tomorrow with another one. Here it is, a card I have been planning to make for a few weeks. I am so pleased with it. I just have to make a box for it now but I just had to show it. I saw it on pintrest so big thanks to H2Designs. I will be running classes to make this during a Tuesday afternoon at a new venue in Halifax to be announced next week and one evening a week in my workshop at home. If you purchase the two stamp sets and two punches you would be eligible to a free product from the Sale A Bration brochure. I ordered this back in December and it has sat on my shelf since. Once I opened the box I had to make it up. Ensuring everyone gets their card on the correct date was one of my New Year Resolutions. Now I have no excuses. The instructions are clear and simple. But as always I had to do my own thing. I laid all the sheets out to make sure I had the correct number of days on for each month. I started with February as this was going to be the easiest. I then set out all the die cuts, ribbon and twine. Such a lot of bits. It was great. I chose my colours for each month then set about the stamping. The little stamps in the perpetual birthday calendar set are great. They will be so useful for project life and backgrounds for cards. 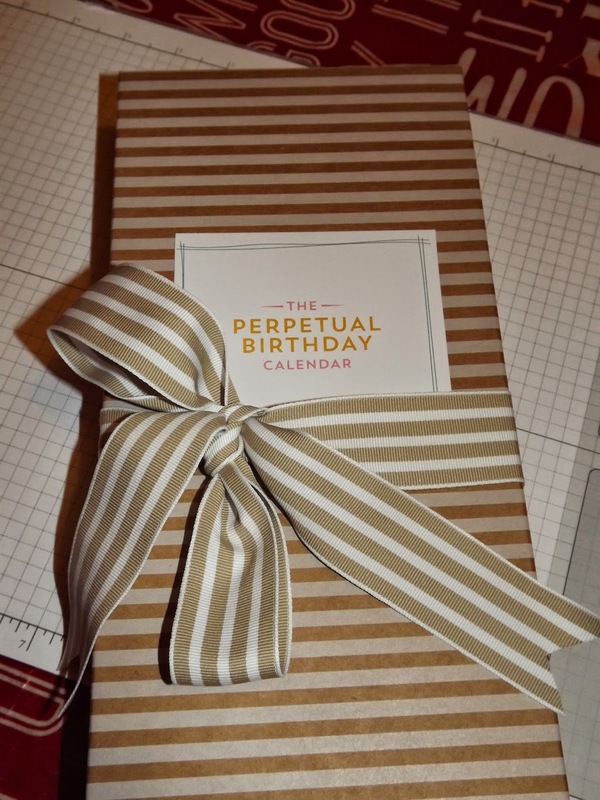 Here are a few pages from my calendar and the completed project in its gift box. I also have lots of pieces left over which I can use on other projects. Cost includes the kit but not the stamps. Use my stamps to complete your kit. I can't believe its been nearly a week since my last blog. It is half term now so full days of crafting ahead, plus decorating or rather tiling in the kitchen, spring cleaning and yes we need that and everything else I save up to do in the holidays! Today I have completed 2 makes for a special order. These are for one of the WI ladies, for her grandchildren. Hope they like them. Another little box of monsters and a ballerina in a box of her own. I have used the blendabilities for the colouring on both. What a hectic time it has been since I came back from holiday. Last Monday night I spent a lovely couple of hours in Howarth with Standbury WI. 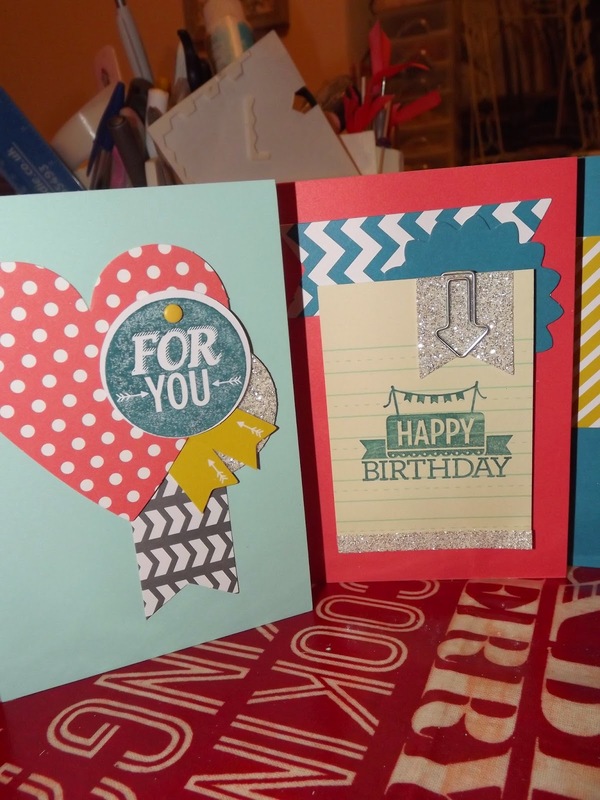 I demonstrated Stampin'Up! products and every one got to do a 'make and take'. Although I thought it was organised chaos, the 38 ladies seemed to enjoy it and everyone completed their card. I was asked a number of times about my baby frames so I thought I would remind you of a couple I have made in the past. The frames are made to order, customers colour and/or theme choice. Lace Birthday card for a friend. The large new stamp in the spring summer catalogue is lovely. Here it is stamped in soft suade, then water coloured with so saffron, calypso coral, wisteria wonder and pear pizzaz ink. The ribbon is calypso coral seam binding. 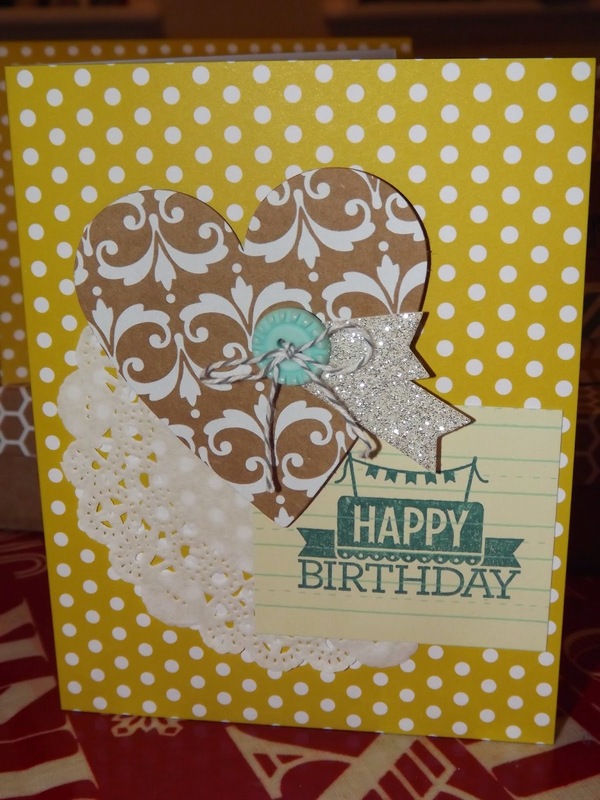 The sentiment is stamped in soft suade the die cut with apothecary accents. 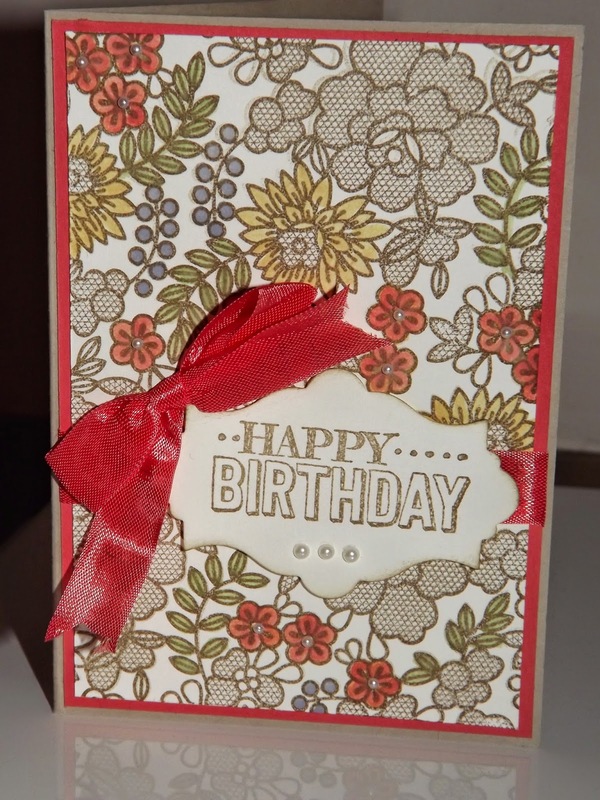 All is mounted onto a crumb cake notecard from Stampin'Up! I really like the notecards as they are such good quality. All the little orange flowers have tiny pearls in the centre. 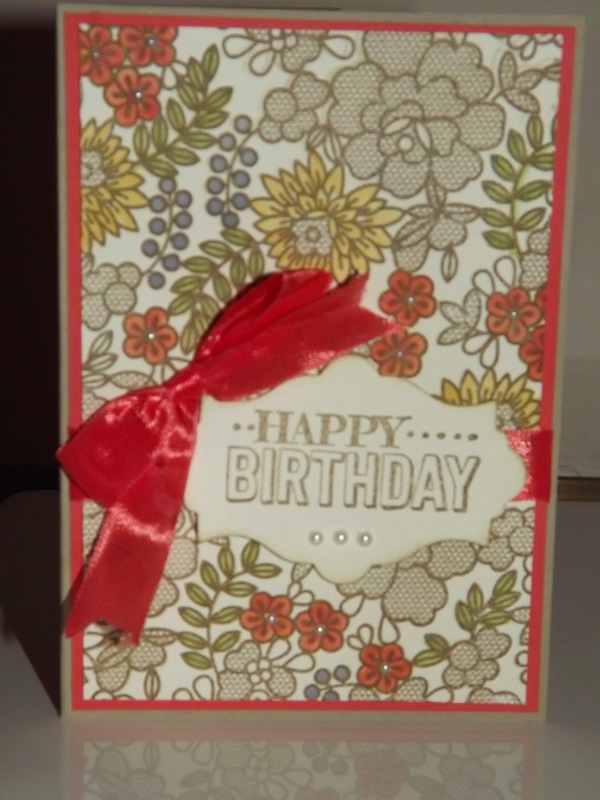 I'm not very good at time away from my craft table so whilst away for 2 weeks I took the Stampin'Up! kit Everyday occasions. The kit makes 20 cards. 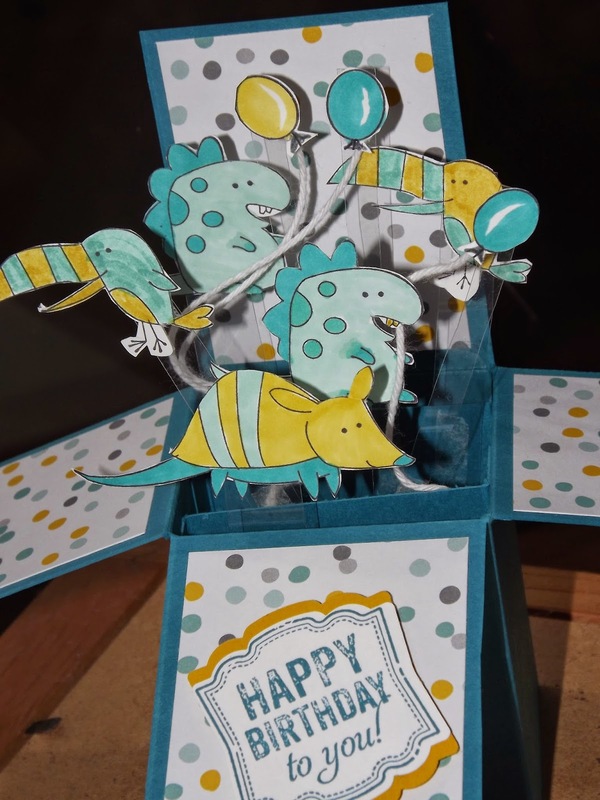 Everything is included, the cards, the envelopes, the die cut toppers, a 5 stamp set and a clear block, 2 inks, buttons, fancy clips and dimensionals. The instructions are clear and easy to use, for most of the kit I did my own thing! You do need to provide your own glue or double sided tape. I took a reel of ribbon coz I like bows! This is the box that went in my case and these are all the cards it made and I have loads of bits left over to make a few more cards. Its great to have so many completed cards in my drawer at work ready for any occasion. Check out my online shop www.karenwatts.stampinup.net to purchase. 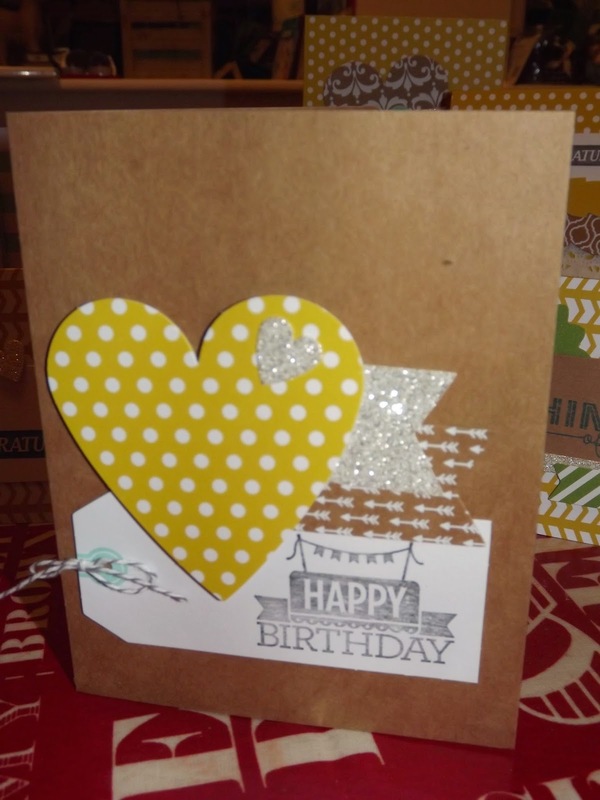 OR book your place on the class to make 5 - 6 cards from the kit and take the rest home to compete at your leisure, Wednesday 4th March 7.30 -9.00. Class is Great for newbies to crafting.